Both of these Venus-ruled signs love to be loved, so this can be a highly romantic, indulgent relationship. However, Sun in Libra’s flirtatious manner will not sit well with possessive Moon in Taurus. Libra will want to socialize, but Taurus will be happier cuddling at home. Sun in Libra knows how to turn on the charm. What makes him so appealing is his attention to what the other person is saying. This makes him a wonderful partner (at first) because he’s so sweet and attentive. But his lover will quickly learn that Sun in Libra can be just as attentive to anyone he finds attractive. This doesn’t mean that he’s a guaranteed cheater, but his partner will have to accept that he is wired to make social connections. Because he’s so socially oriented, he loathes direct conflict (although he can signal displeasure with steely politeness). His Shadow side consists of the man who is incapable of making a firm choice. His awareness of both sides of any issue makes him a world-class waffler. A partner with strong decision-making skills would be helpful to balance him out. Moon in Taurus knows what she needs: comfort and security. This sensual Moon makes a wonderfully supportive partner, as long as she’s not rushed into anything before she’s ready. 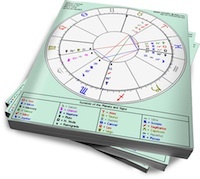 Moon in Taurus will have a set, domestic routine. It will not be complicated, but it will be sacred to her. A partner who tries to push her out of her comfort zone will encounter a wall of resistance. Her Shadow side can manifest as clinging to a stagnant situation — no matter how unhealthy — because it’s familiar. Moon in Taurus will be Libra’s grounded support. She’ll be unimpressed with his sparkly, social ways, preferring to focus on their time at home together. Sun in Libra will appreciate her quiet strength, but not her simmering resentment when he interacts with others. Although he may initially find the idea of her possessiveness appealing, he’ll quickly grow restless. Adjustments will have to be made. Libra can tone down the flirting, while reassuring Taurus that he’s all hers. Taurus can be more open to the fact that Libra is a social creature, but not necessarily an unfaithful one.